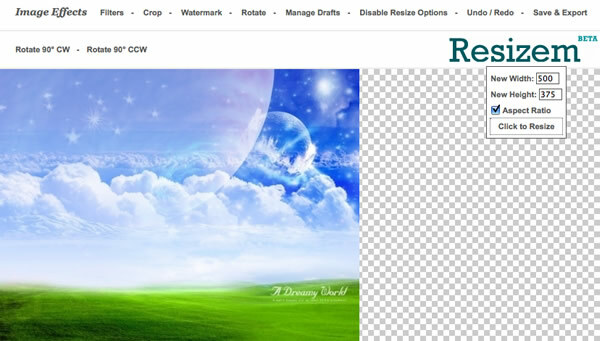 Photo editing softwares are really important for people working on the web. Adobe FireWorks, or Photoshop are the most used Software to editing photos. But what to do, when, for any reason, Photoshop of Firefox are not available? To solve the problem you can use a Online Photo Editing Software. These softwares don’t requires any kind of installation, because they work completely online. This list of Online Photo Editing Software has been developed with a lot of patience to choose the best services that allow you any kind of editing, starting from a simple cut or crop of the photo, to the application of effects and filters. Some features of these software can’t be found in Photoshop or Fireworks. 72Photos is an online foto editing software that will give you 200Mb of free image storage online after creating your account. To Use this software an account is required. 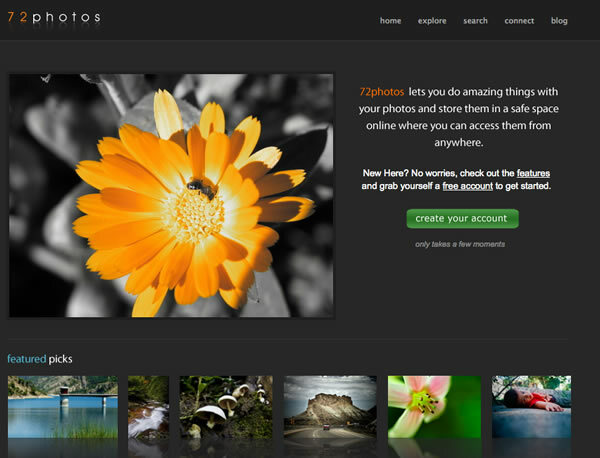 the user interface is very nice and comprehensive.The photo editor included in 72Photos is powerful and easy to use. Clarkii is a demo version ofÂ a browser-based software for online photo and image editing, you can use all the features freely and use it in full screen too. 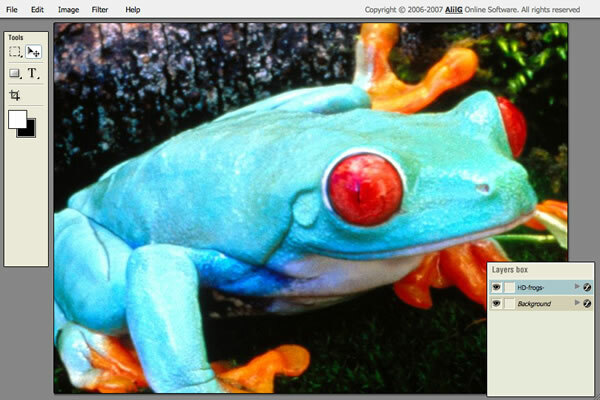 With Clarki you can Remove Red-Eyes, resizeÂ photo and add effects. Don’t forget to try them all! Thanks to Mypictr you will be able to create your avatar in the fastest way ever seen. The only things you have to do are: upload photo in mypictr working area, select a portion of the image you want to turn in avatar and than click Create!Â And you’re done! Fast and easy, Mypictr is the fastest way to create an avatar from your photos. 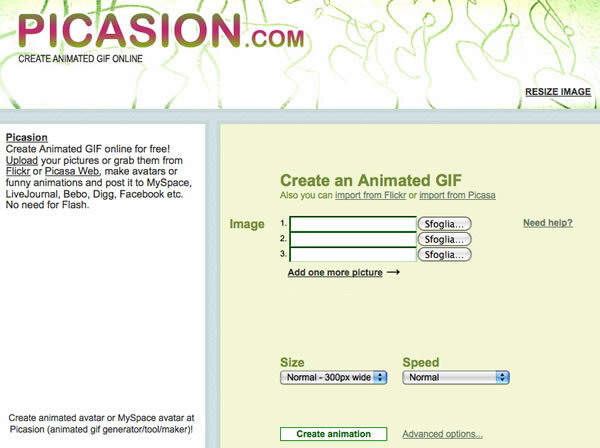 Thanks to Picasion, you can create Animated GIF online for free. 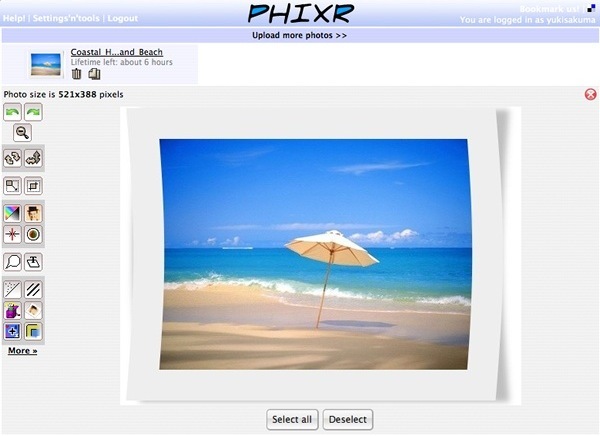 You can upload your picture from your hard drive or grab them from Picasa and Flikr. 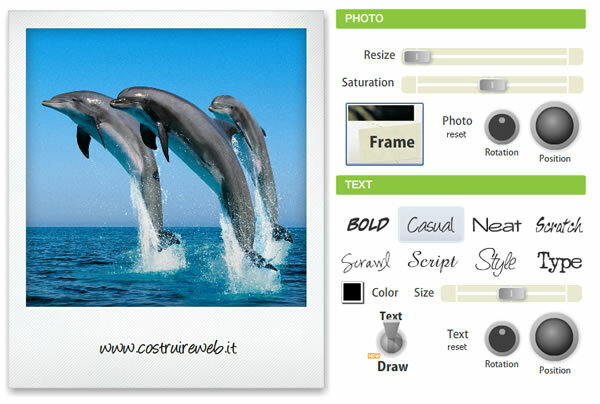 Select the numbers of frames, size and the speed of the animation and click “Create Animation”. 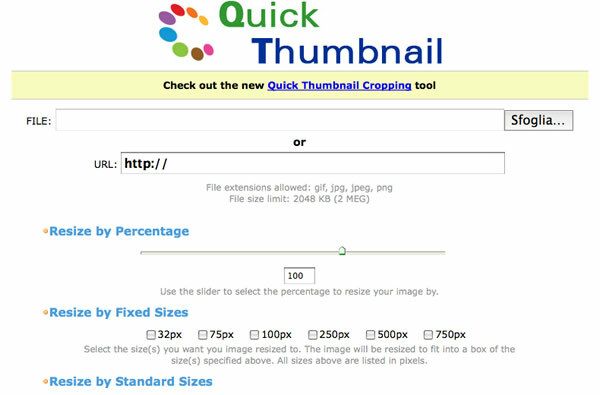 In few seconds your animated GIF is ready to use on Myspace, Facebook, etc. 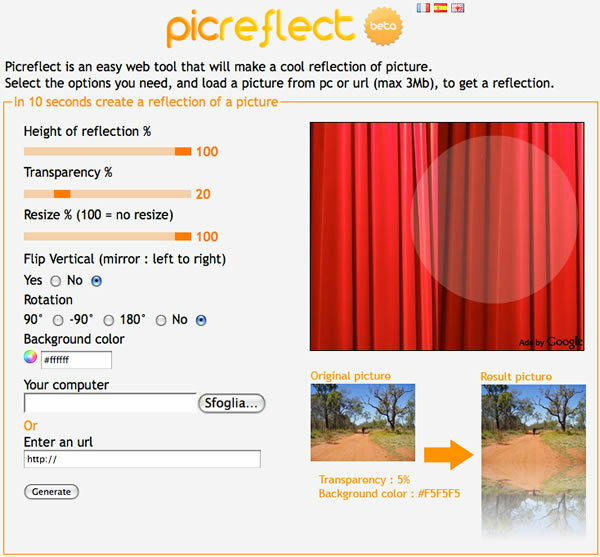 Picreflect is an easy web tool to create a reflection of picture. the only thing you must do is to select the option you need, like background color, Height of reflection etc, and upload the photo to reflect. Picreflect can handle file smaller or equal to 1mb. 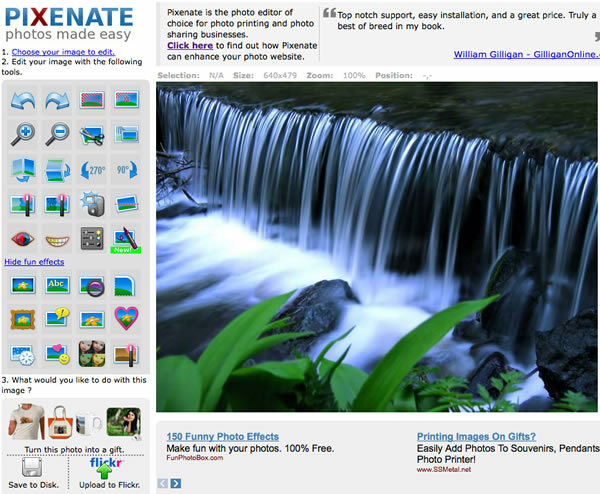 Pixenate is an online photo editing software very easy to use. Pixenate contain standar tools of any software like Cropping, rotation and flipping of the photo. You can create photomontages too, using a list of stickers ready to use. 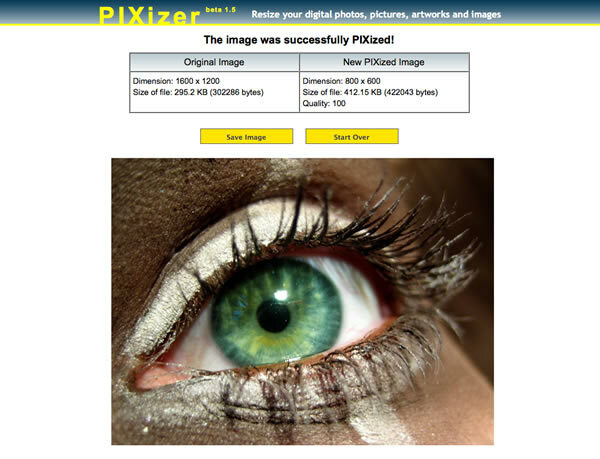 PIXizer is an online application principally intended to resize your photos and images. You can choose two differents type of resizing: by Percentage or directly set the width and Height of the final resized photo. Pixrl is an advanced online photo editing software. 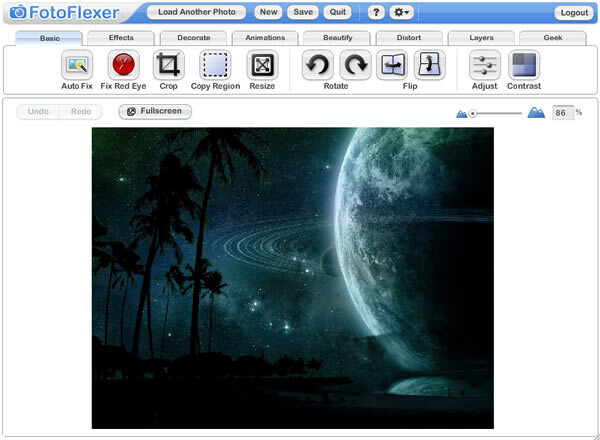 once opened Pixrl, will turn your browser in a complete editing software. Contains all the effects you need to retouch and fix your existing photos, or you can start a new one. Pixrl supports Layers too, and has a lot of different brushes. Reshade is a free online tool to resize your photos an images, befor resizin your images you can stretch, denoise, crop and smooth the photo you’re working on. The resized photo will be shown as a normal web images, so to save your resized photo, just use your right click. Slashup is an amazing online photo editin software, you can edit, optimize and add effects to your photos. This software has a very interesting feature, you can shot and capture form your webcam a photo ready to be edited. This application supports layers too and has the standard optimization filters that all software of this kind has. What can I say about Sumo Paint? It’s a perfect and wonderful application to edit your photo, images, and for creating new one using your free style. Tons of Brushes and filters made this software perfect. Look at the video below to see some of the feature of this software! 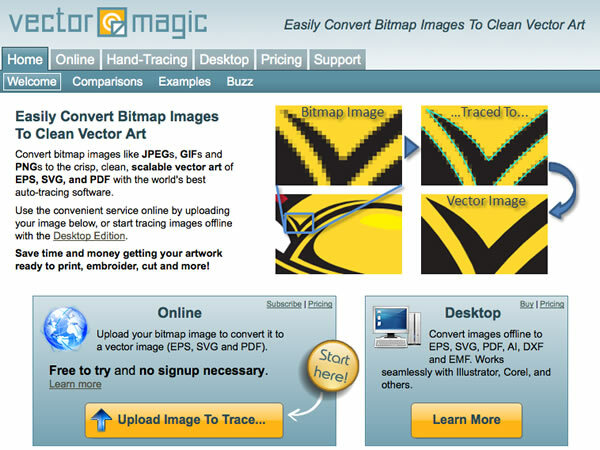 VectorMagic can convert your images (JPGs, Gifs and PNGs files) to a scalable vector art automatically, saving your file in EPS,SVG or PDF files. Remember, this is an automatic conversion, so, it will be not perfect. The process of conversion will start automatically after the photo upload and can takes few menutes. When finished you can adjust the final result manually. 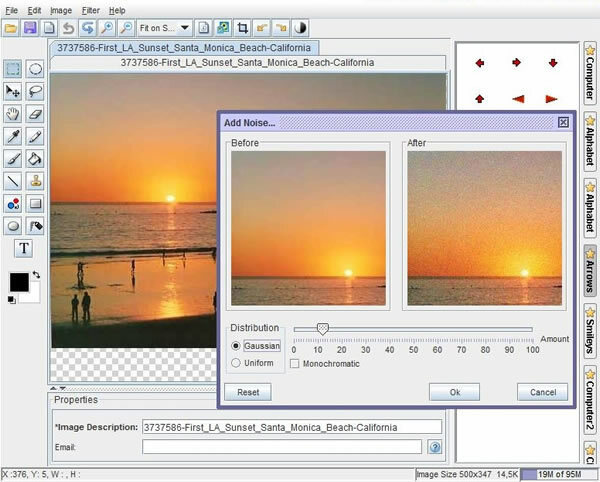 Alilg is a basic and easy photo editor, particulary intendet do be used by beginners. 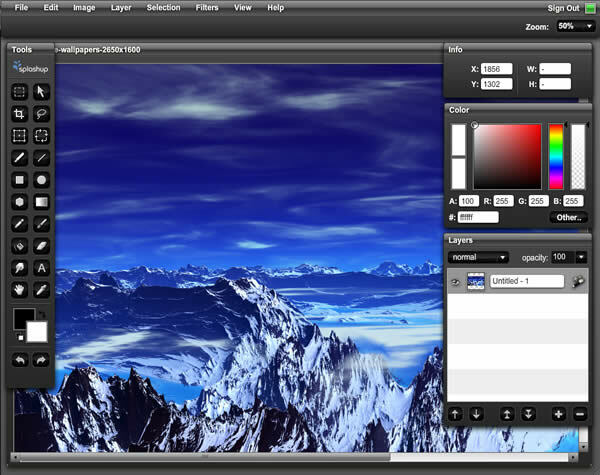 This online software contains basic filters and affects and can handle Layers like Photoshop. Alilg saves in JPG, PNG and GIF formats. Cellsea is a online photo editing software to resize your images andÂ apply simple effect to photos, like blur, sharp and text. Unfortunately when you apply an effect, and change the settings of it, you can’t see a preview. 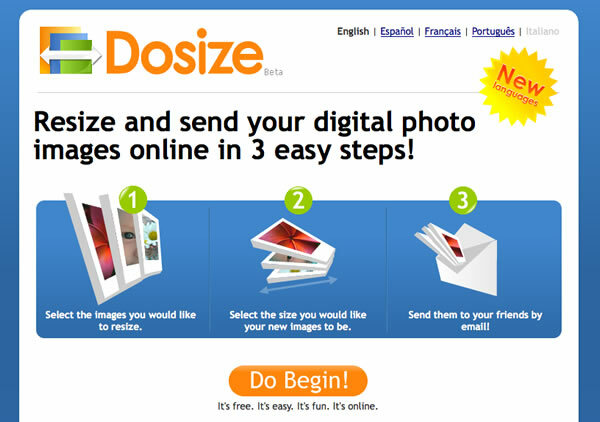 Using Dosize you can resize and share tour digital photo in 3 easy steps. 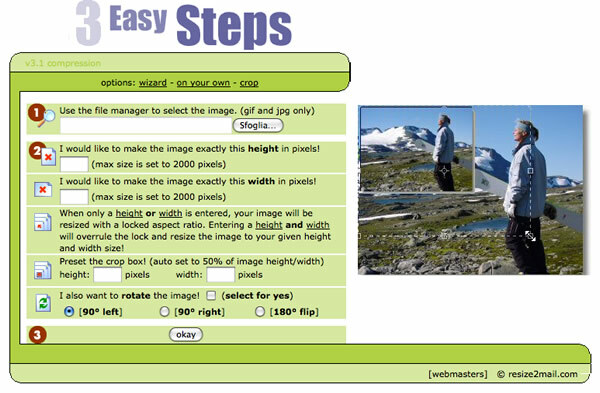 The first thing you must do is to select the images you would like to resize, yes, imageS. Dosize can resize multiple images (10 max) automatically. Save it, or share it with your friends by email. Dozise is easy and completely free. You can save your finished images directly to your Hard Drive in the following Formats: PNG, BMP, GIF, TIFF and PDF. 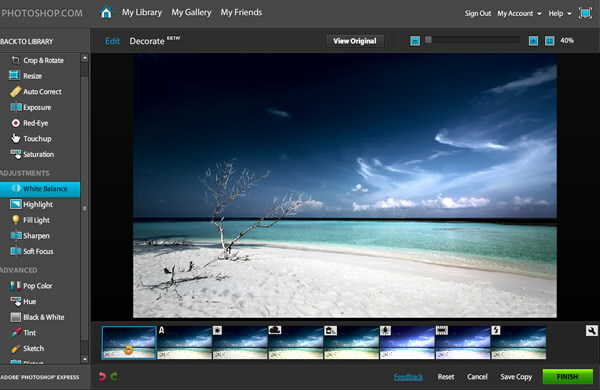 flauntR is an online photo and effect editor, and provides an easy to use interface to manage, modify and enhance images. The editor is divided in “categories” (editR, stylR, textR, mobilR, picasR, and profilR). Just select the type of modification you want to do and start editing your photos. 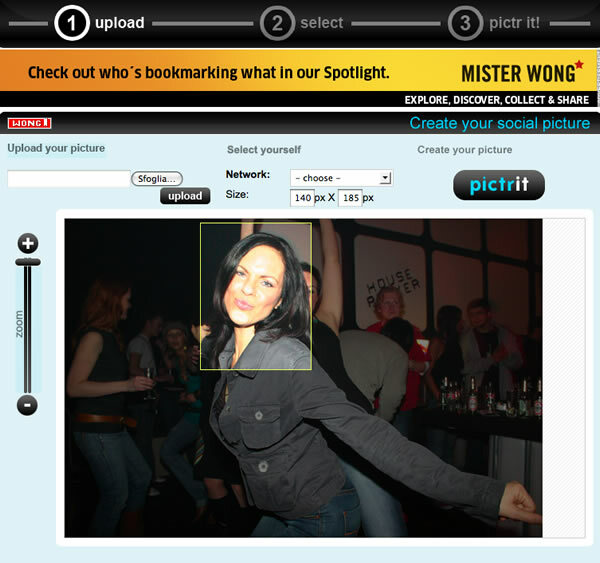 You can upload the photos directly from your hard drive, or grab it from your Facebook, Picasa, Bebo and Flickr account. To fully use this online application you have to register a simple free account. 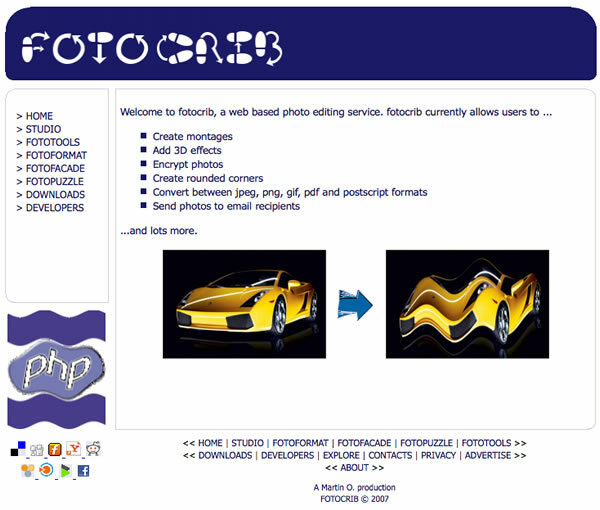 FotoCrib is a Free online tool to create montages from your photos. The software can add 3d effects, encrypt your photos and create round corner. You can also convert the format of your images between jpg, png, gid and pdf. A very nice application, easy to use. 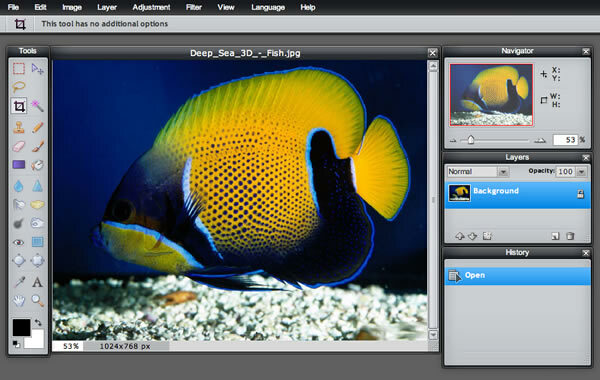 Imageeditor can optimize your photos changing the basic settings, like colors, brightness, contrast etc. 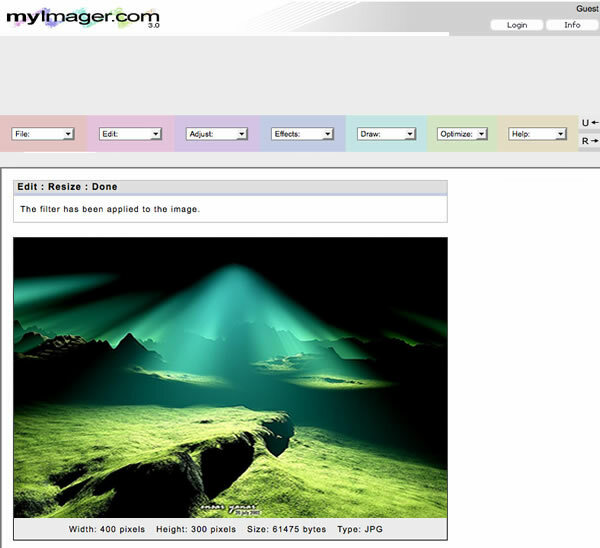 Usin imagee ditor you can add Text, Shapes to your images and capture a photo directly form your Webcam. Photo Effects: Embed your Photo in a particulary landscape or situation. Photo Frames: Adds a frame to a photo of your choice. 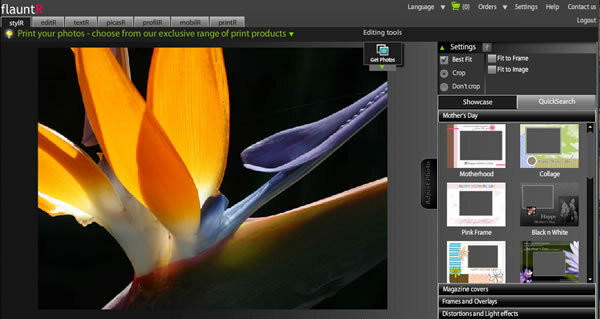 Trim Photos: This Effect trims your photos using multiple templates, like Flowers, balloons etc. 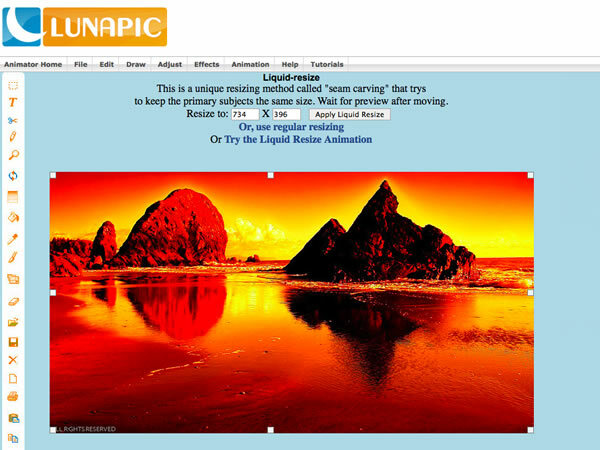 Lunapic is a free online photo editor to resize your photos, add effects etc. You can upload a photo or image from your Hard Drive, or taking it directly from the software using your Web Cam. 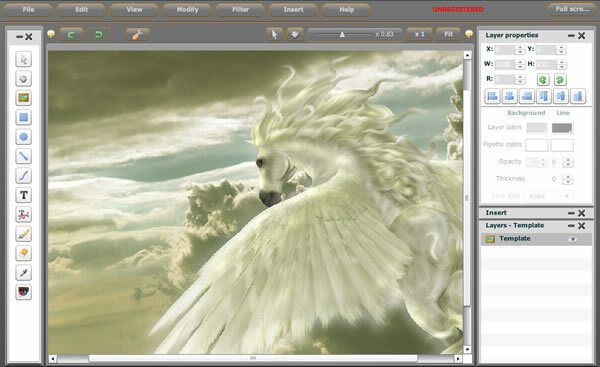 The software can also create animated photo, adding, for example, a flowing water effect or other type of animated effects. Myimager is a fast photo editor, suitable for add basic effects to your photos. You can adjust brightness, constrast, hue and saturation, and add effects like Charcoal, Implode, Oil Painting and others. To save the finished image you must save it using the right click of the mouse. Online image editor can create animated GIFs too. 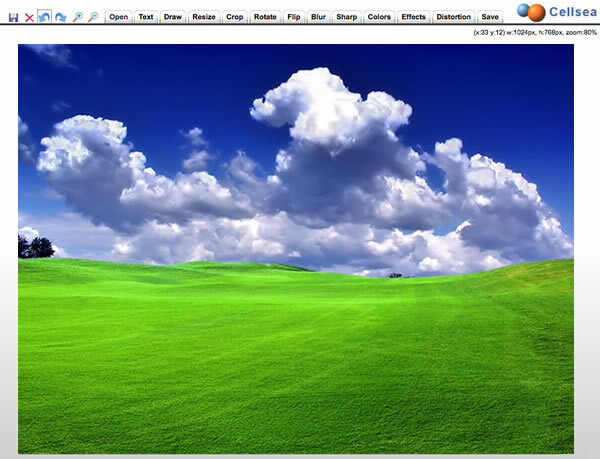 Onlinephototool is a java based application to edit and modify your photos. To open a photo, just select it from your Hard Drive, or paste the link of an existing image on the web. You can add standard filters and correction to the foto and add little Clip Art too. The software save in BMP, JPG and GIF formats. 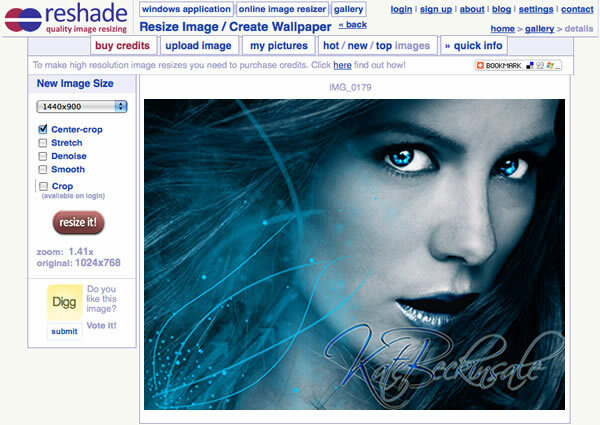 Do you know that there is an online version of Photoshop ? I discovered it some time ago, and it really impressed me. You need to create a free account to use all the features of the software, but it’s worth it! this version of photoshop has astonishing effects! For example, give a look to the Black & White effect, you can choose among 6 different kind of black & white Effect, you surely love Photoshop! Phixr is a small photo editing software, the most interesting feature that this software possess, is that it can create an istant photo effect, as you can see in the image above. You can add a large amount of effects and filters too, very similar to the Fotoflexer effects. Photo-notes can transform your photo in Polaroids! Just upload the photo you want to transform and tha’t is! Use the controls on the right side of the software to choose Text Style, Rotation, Position Etc, really nice, isn’t it ? 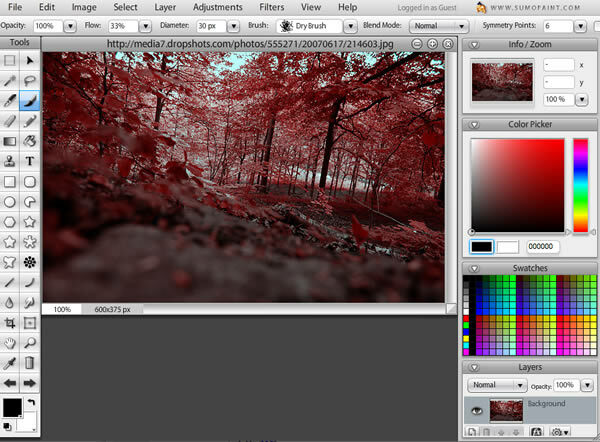 Photomajig is a very fast online tool to resize your image, you can cut and crop automatically too. Is very usefull if you don’t have time to open other heavy programs with the same feature. Try it! Find the right Color: this tool finds the right color for generating eye-pleasing images. Get Color Schemes from Picture: This tool gets the palette of colors from a picture, to use in other images, you can read, if you want, the names of each color. 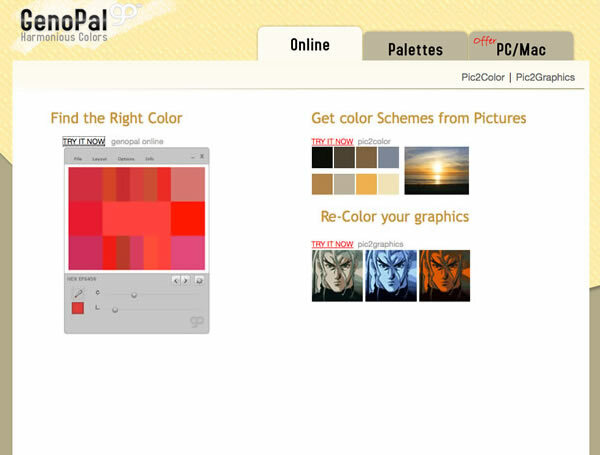 Re-Color Your Grapihcs: This tools Re-Colour your images using the palette of colors chosen by you. 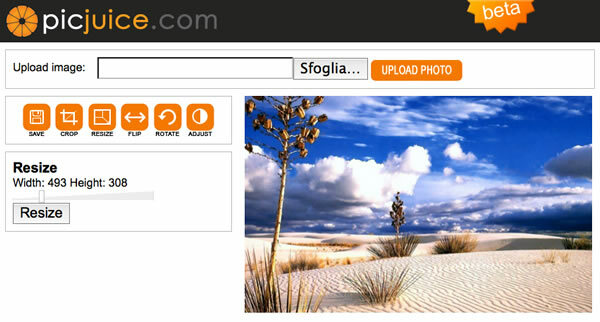 Picjuice is a simple and fast software to resize your photos, you can also adjust contrast, rotate and crop images. The software will saveÂ finshed images directly in your Hard Drive. 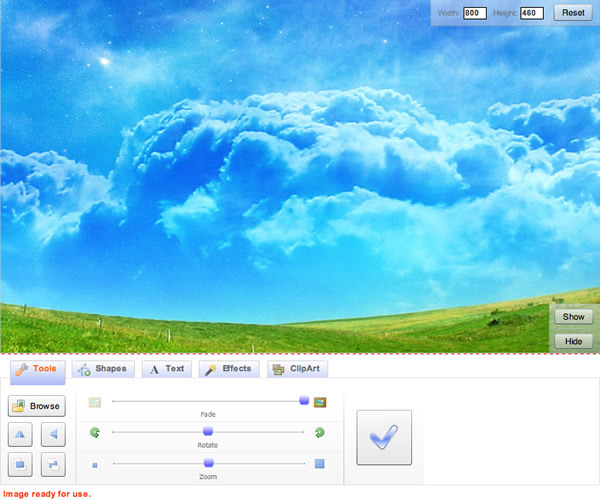 There is no doubt about it, Picnik is certainly the king of online photo editing softwares. 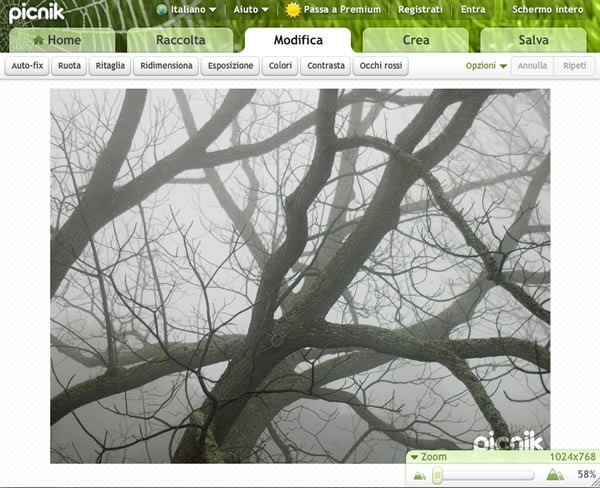 Picnik is powered by google, so, it’s nearly perfect. Using picnik you can edit images using many different filters. If you don’t know Picnik, please, try it, you’ll surely love it! Pikipimp is a free online photo editing software useful to rotate, resize, and flip your foto. You can add some elements like balloons, with editable text, glittering text, blings, etc. Saved image can be directly shared on FaceBook, Myspace, Bebo, or downloading in your Hard drive. The thumbnails will be saved in JPG or PNG format, and if you want, a watermark can be applied to the saved image. 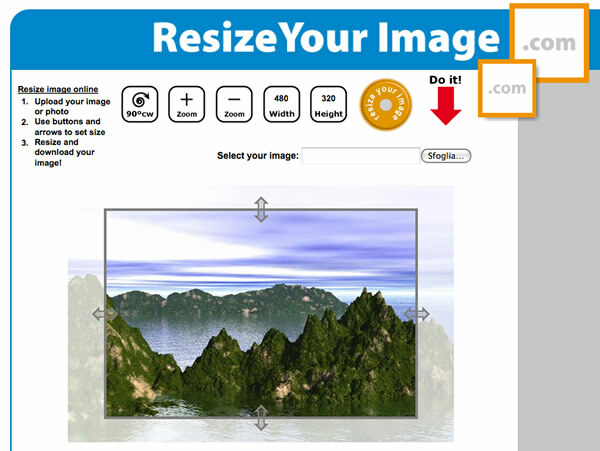 Resize2mail, performs the resizing of your photos in 3 easy steps. Browse your files and upload the file you want to resize. Set the max width and height, and you’re done. you can rotate and flip the photo too before resizing it. Saved image can be directly sent to your smartphone too. 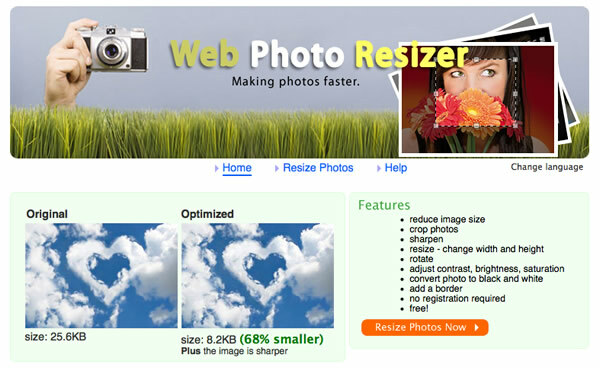 Resizem is principally intended to resize photo and images. You can also crop, rotate and add watermark. 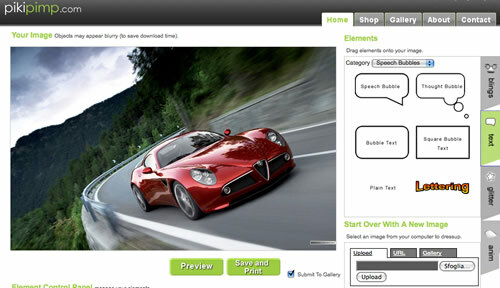 Once saved, the software will also provide links to share your saved image. What resizeyourimage can do for you ? This software can resize your photos quickly and easily. Use buttond and arrows to set size, save and download your image. 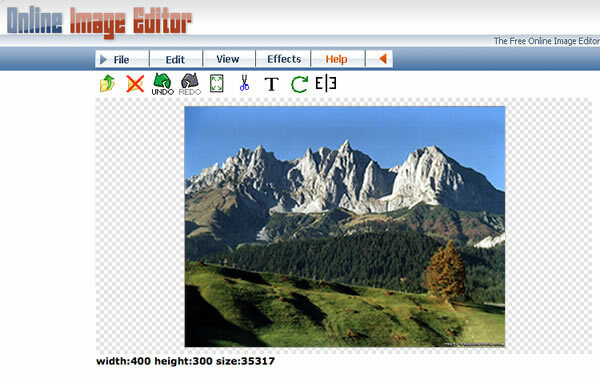 Webresizer is the last software of this long list of free online software, with webresizer you can, first of all resize your images, but you can add effect, rotate, ad borders and crop your photos too. So I hope that you find in this list, a software that will be useful to you, and don’t forget to share this list to your friends on Facebook, Twitter and Google+. nice, i want to make/create new pictures..